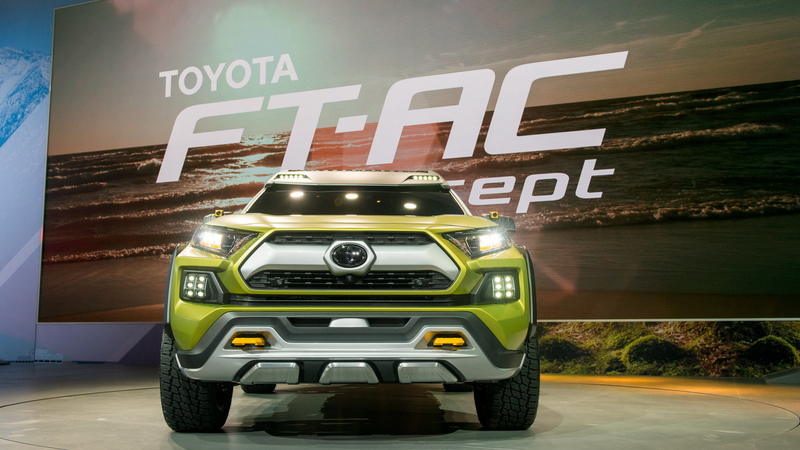 The 2017 Los Angeles Auto Show has played host to numerous world debuts, and among them is an off-road-focused SUV concept from Toyota dubbed the FT-AC, an acronym for Future Toyota Adventure Concept. It’s the Japanese automaker’s third rugged concept vehicle to be unveiled in just the past year. The previous two were the TJ Cruiser shown in October at the Tokyo Motor Show and the FT-4X shown in April at the New York International Auto Show. The FT-AC is all about active lifestyles. It’s no coincidence that it was unveiled in L.A., a city where residents have access to hills, deserts and beaches. 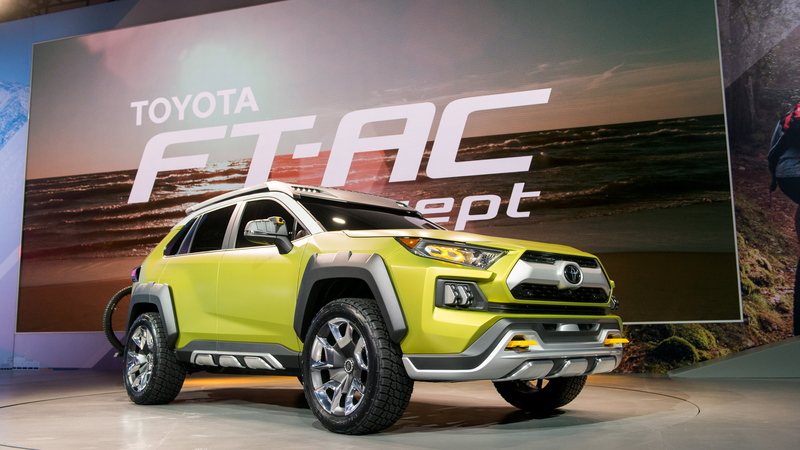 To cater to outdoorsy types, the FT-AC features body protection, a tall ride height, fog lights, and tow hooks. The vehicle was also designed around a long wheelbase and wide track to provide a powerful stance. This is further accentuated by wide fender flares that have the added benefit of providing body shielding. And at the rear, the designers have integrated a bike rack that retracts. Lastly, infrared cameras on the side mirrors can record trail runs and, along with the fog lights, can be removed and mounted off-vehicle to capture drives from multiple angles. Toyota has also added WiFi so video clips can be uploaded straight away. For now, Toyota says the FT-AC is strictly a design study, albeit one envisaged with production potential. 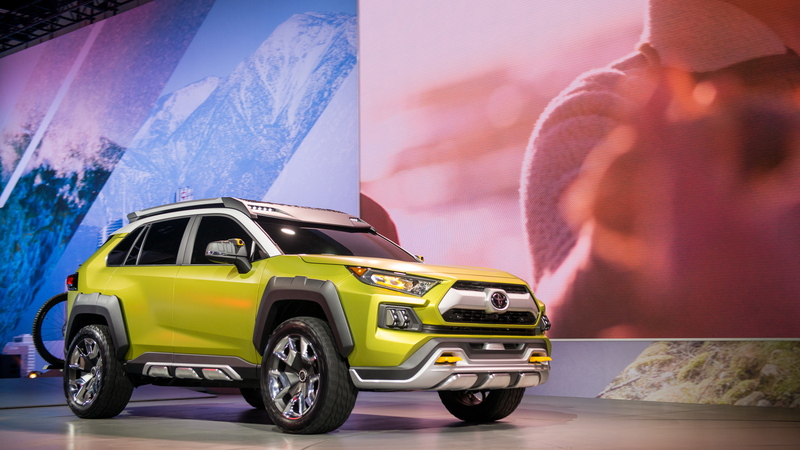 Some of its styling will likely end up on the next RAV4. The automaker says that if a vehicle like the FT-AC were built, it could offer both gasoline and gasoline-electric hybrid powertrains. With the FJ Cruiser gone, the 4Runner and Land Cruiser are Toyota's two remaining off-road-oriented SUVs. 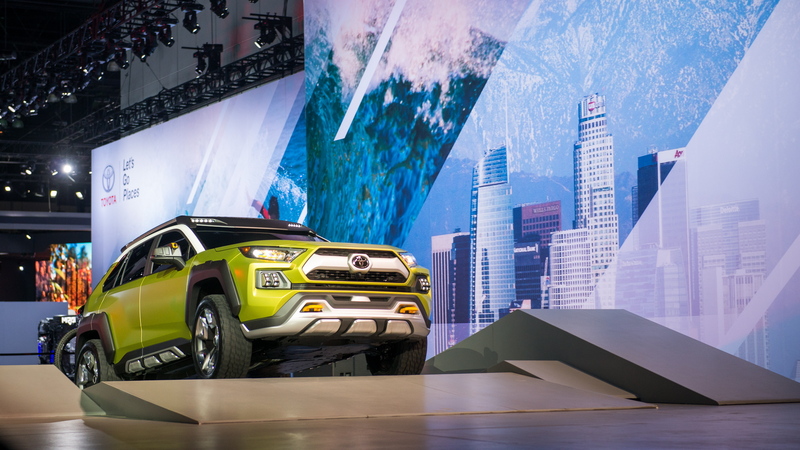 They are both body-on-frame vehicles, but the automaker lacks an off-road-focused offering with a car-like unibody structure. 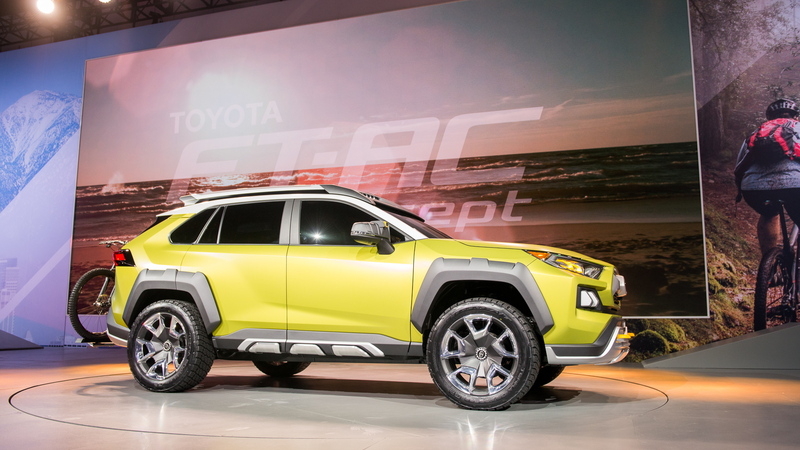 With the recent focus on off-road concepts, it's quite possible Toyota is hinting at or sampling reactions for a future product. Watch this space. For more coverage from the L.A. Auto Show, check out our dedicated hub.